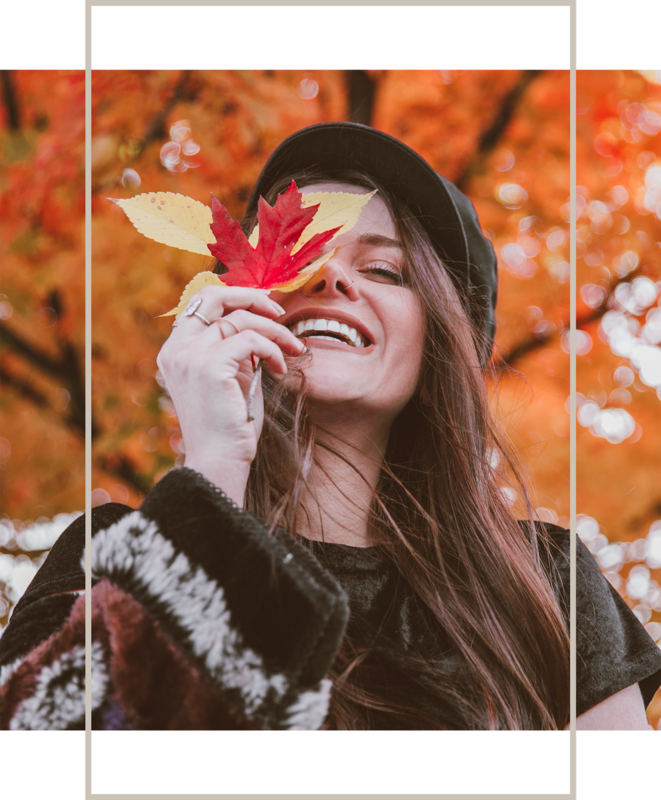 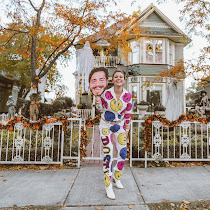 Colorful leaves, gentle breezes, and cooler temperatures announce my favorite season! 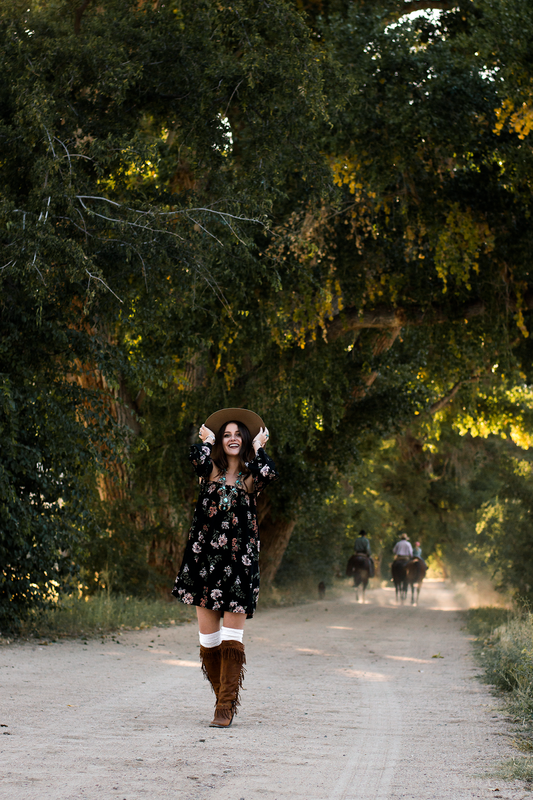 Autumn, lovingly known as boot & sweater season, is the best. 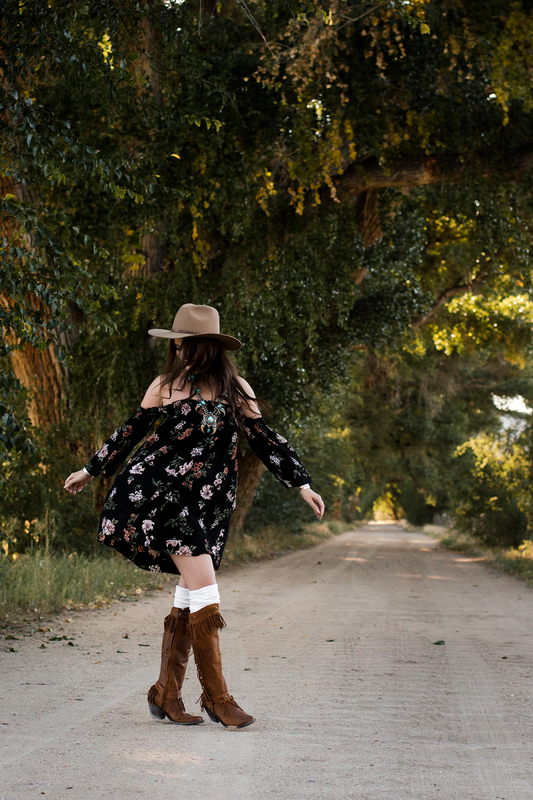 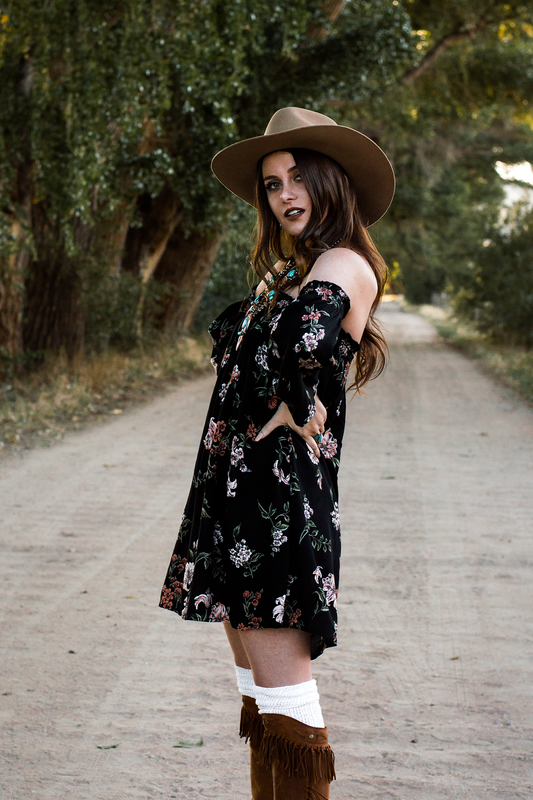 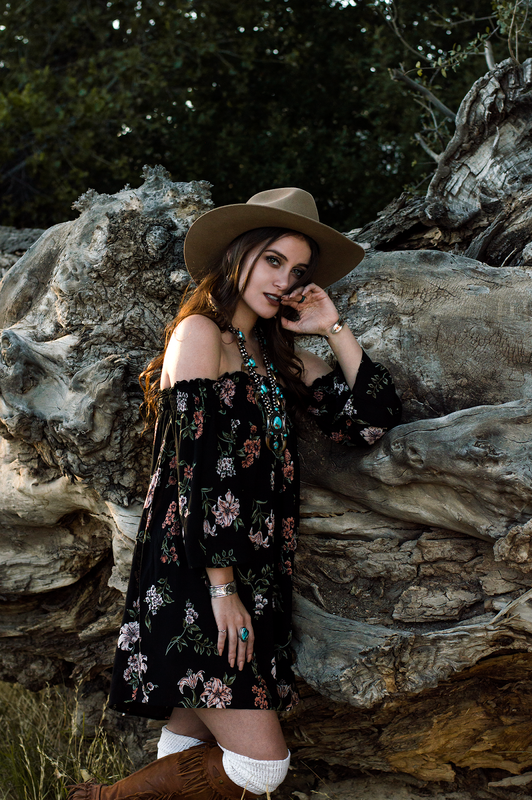 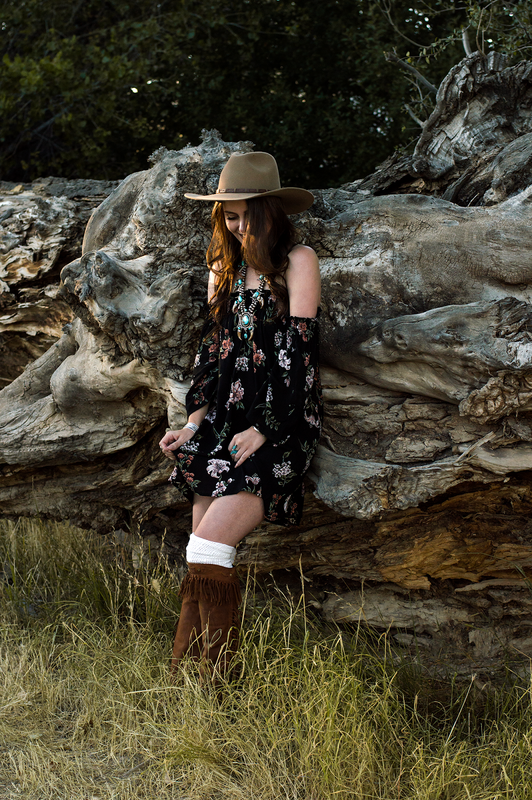 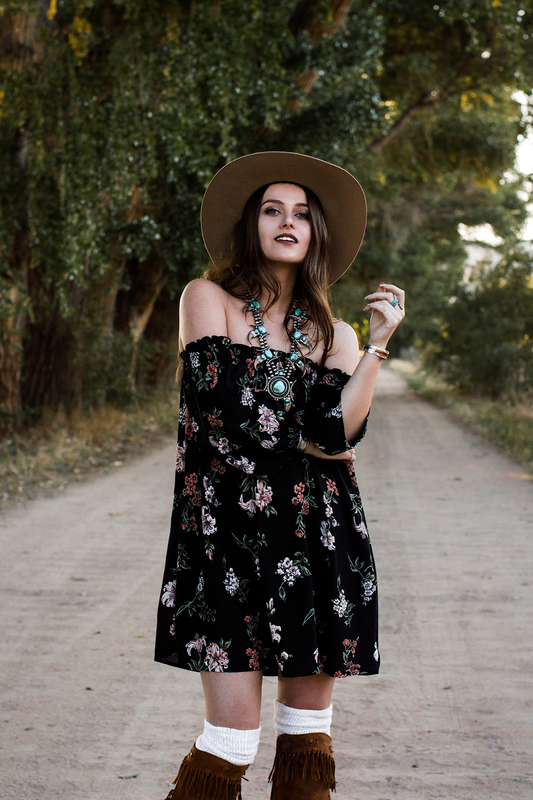 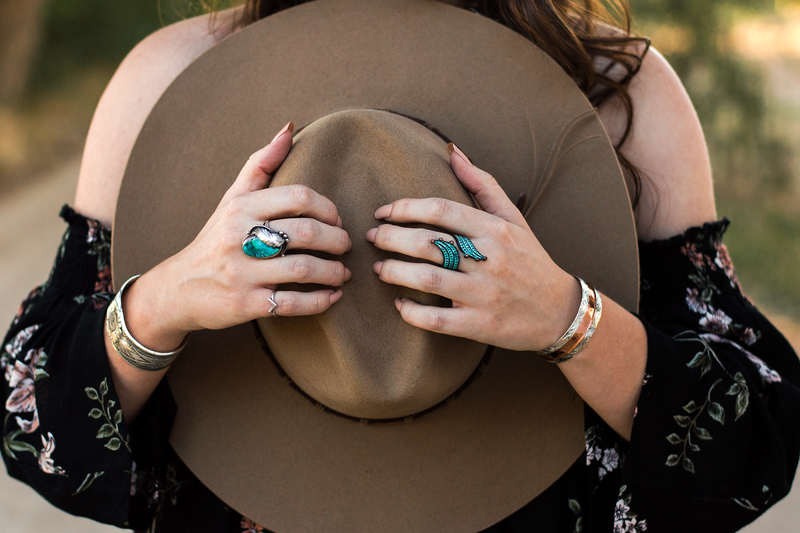 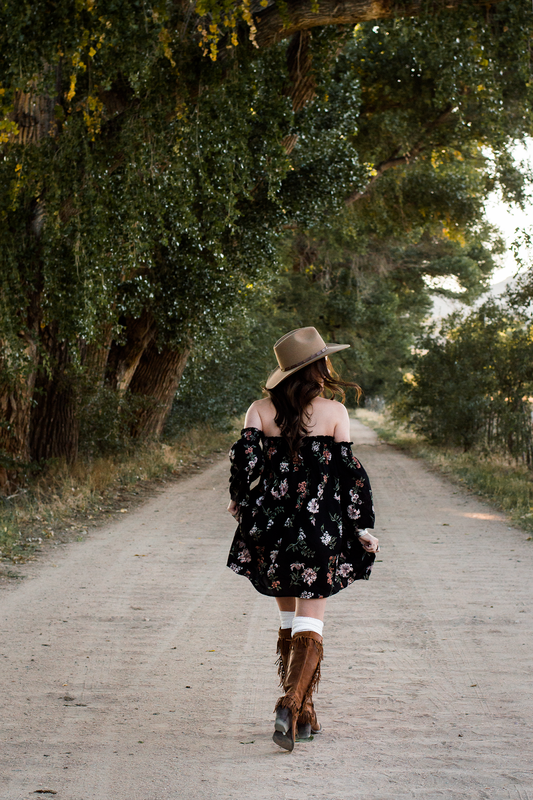 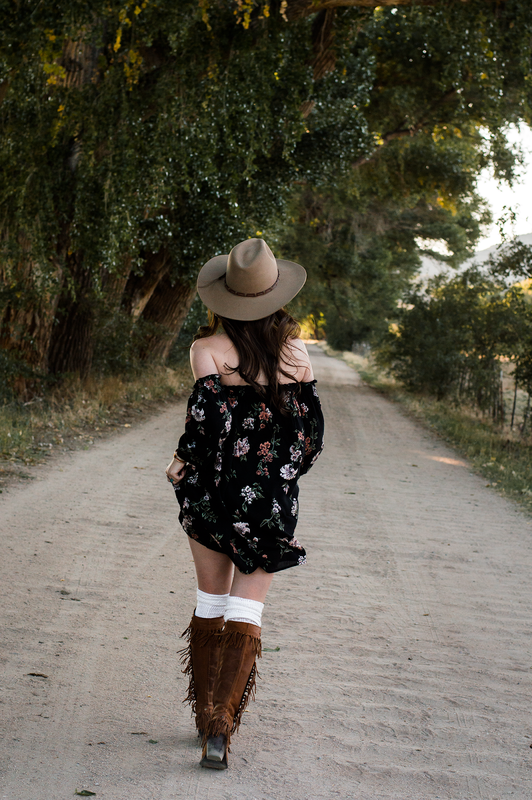 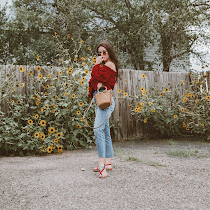 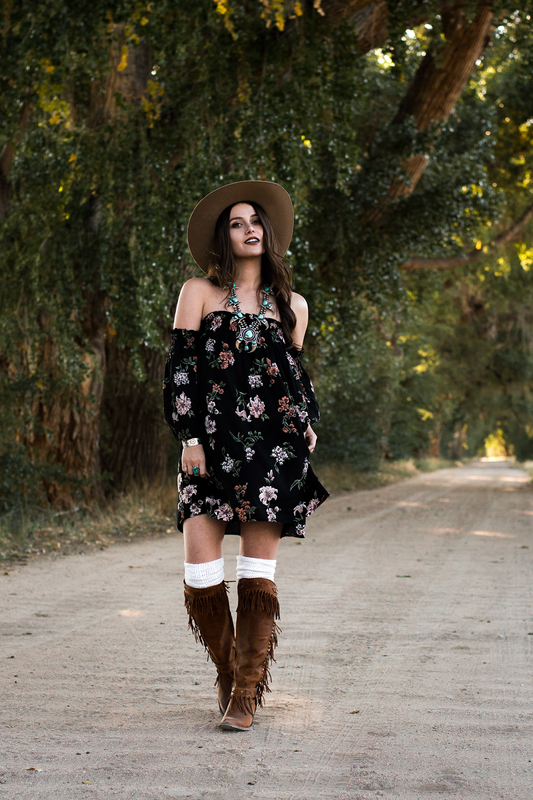 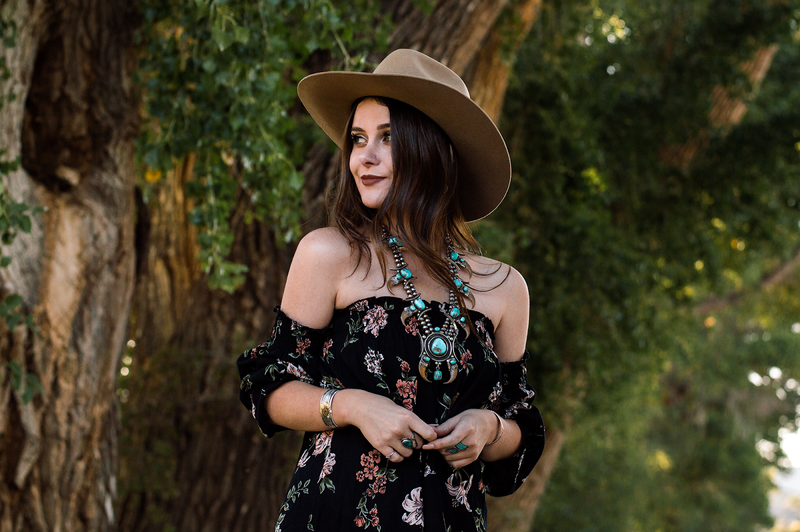 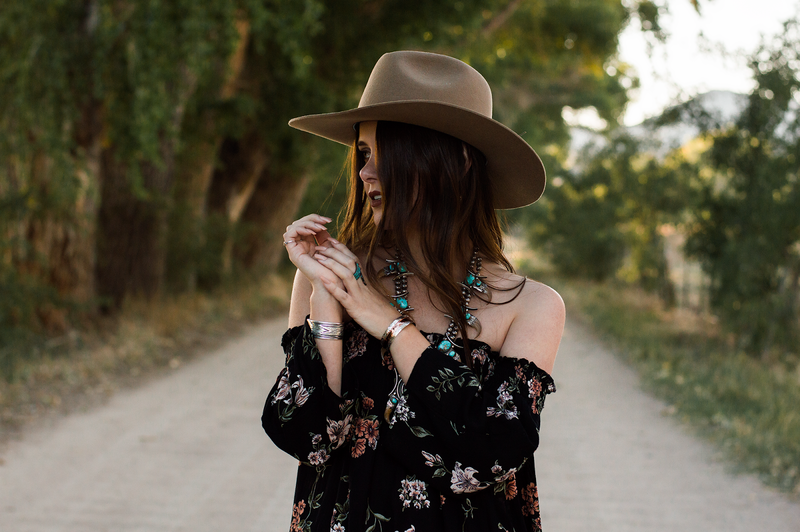 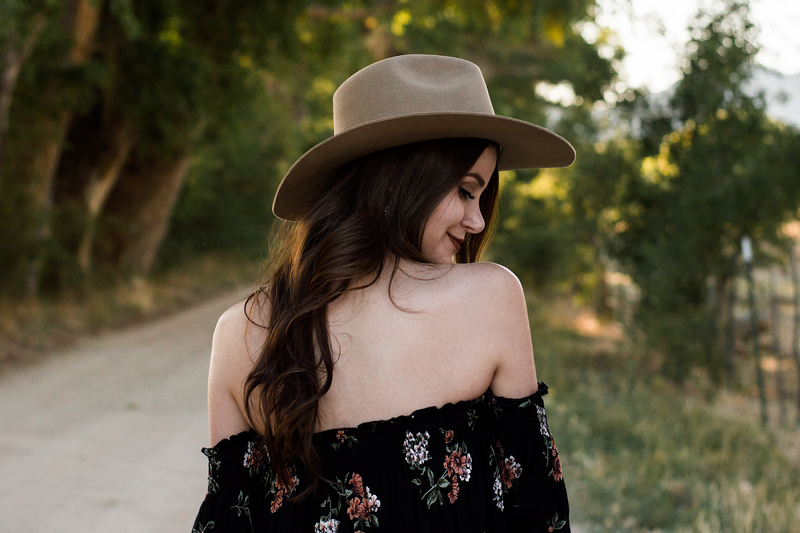 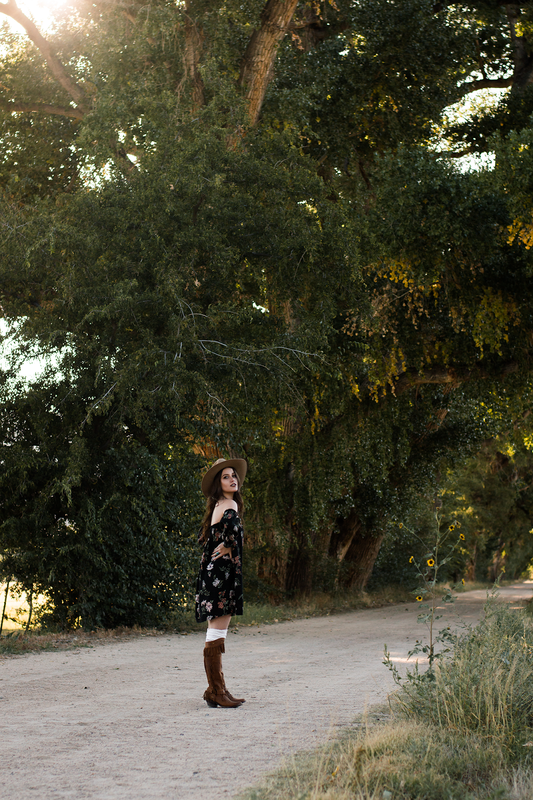 Focusing on fall fashion, Cavender’s has the prettiest dresses, jewelry, hats, and boots. 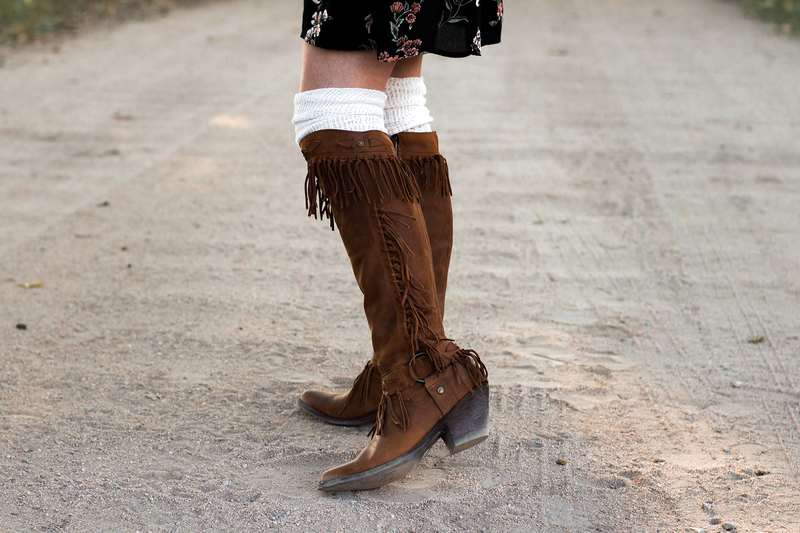 These fringed beauties, that I’m wearing, are Old Gringo Yippee Ki Yay boots, and they are so comfortable. 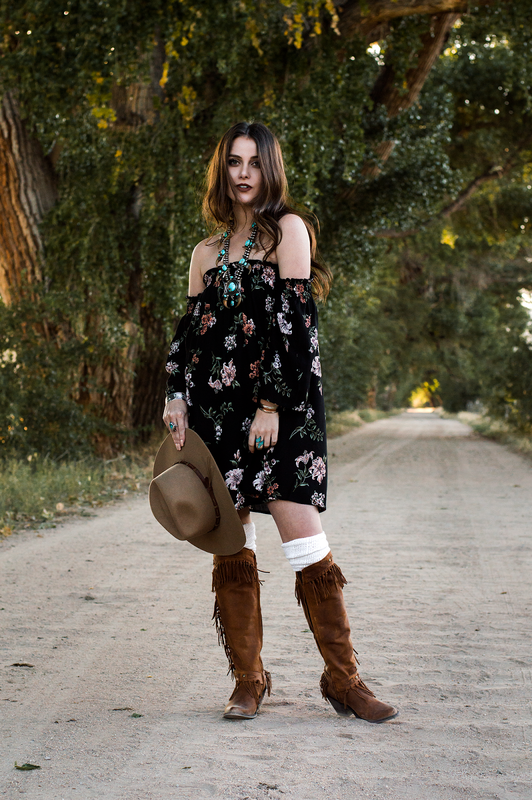 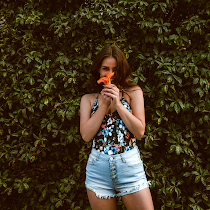 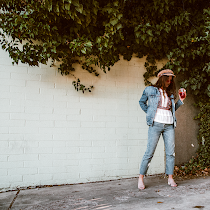 Quality cowgirl boots with an edgy, cool factor. 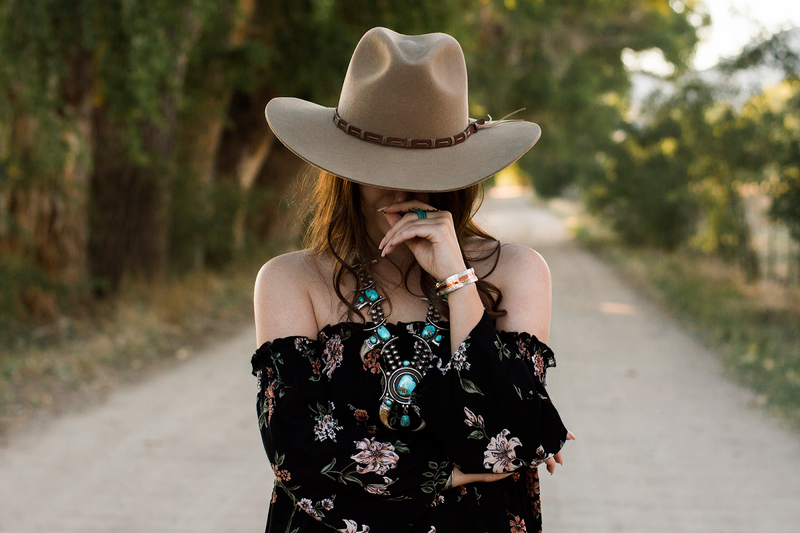 This perfect felt hat is designed by Rodeo King, and it’s an amazing fit. 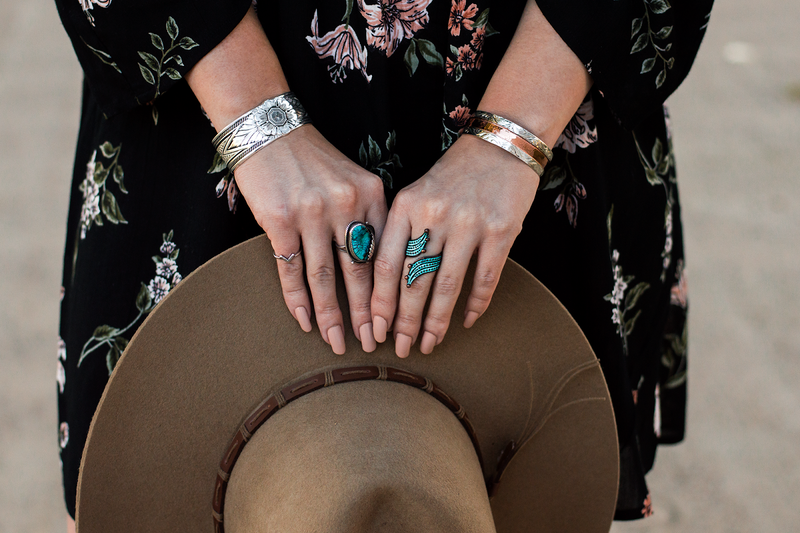 The carved peony cuff bracelet, by Montana Silversmiths, and the hammered copper and silver cuff, by Vogt Silversmiths, are incredibly beautiful. 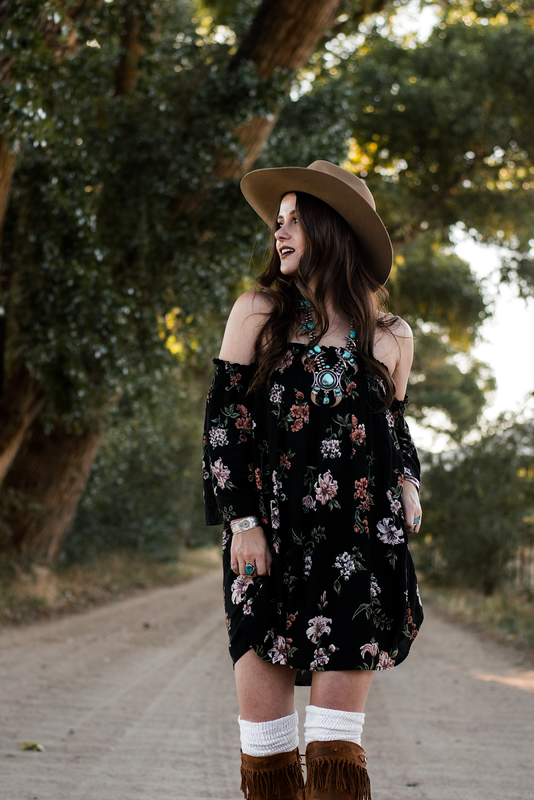 Lastly, the dress itself is so pretty with the off the shoulder design and lovely floral print. 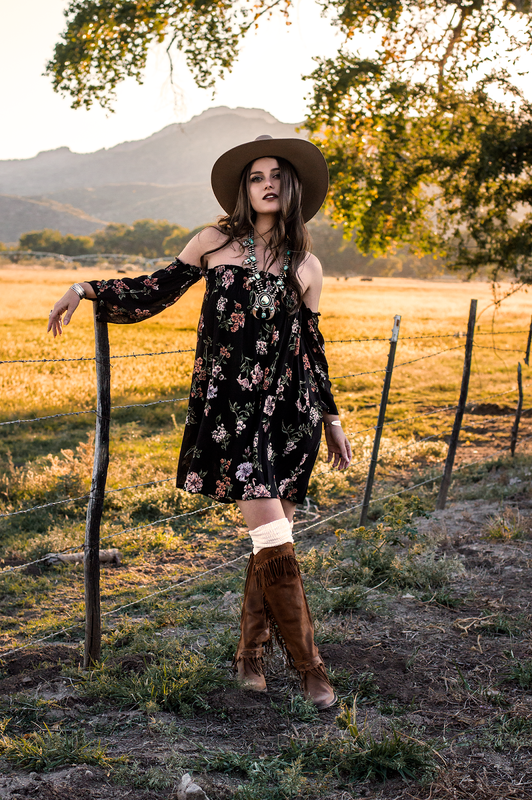 Cavender’s carries the greatest merchandise! 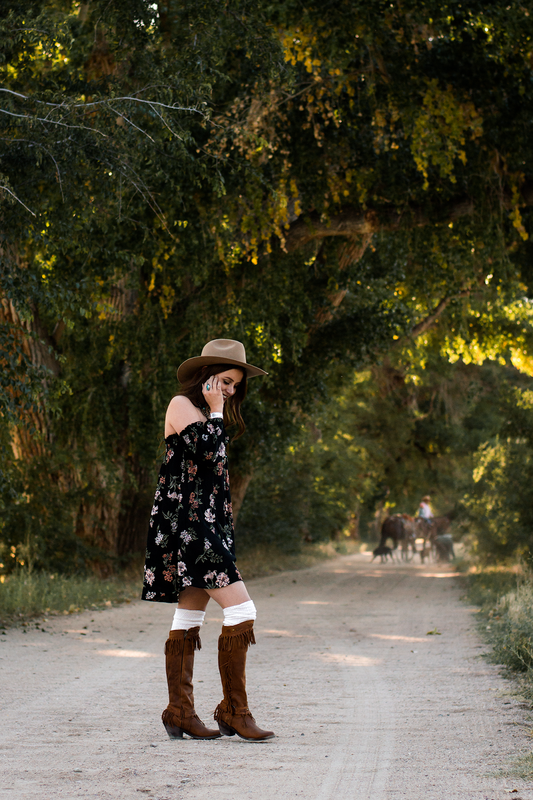 Those are the most gorgeous boots ever!